The air is getting crisp in Northern California, and it’s finally feeling like Autumn. 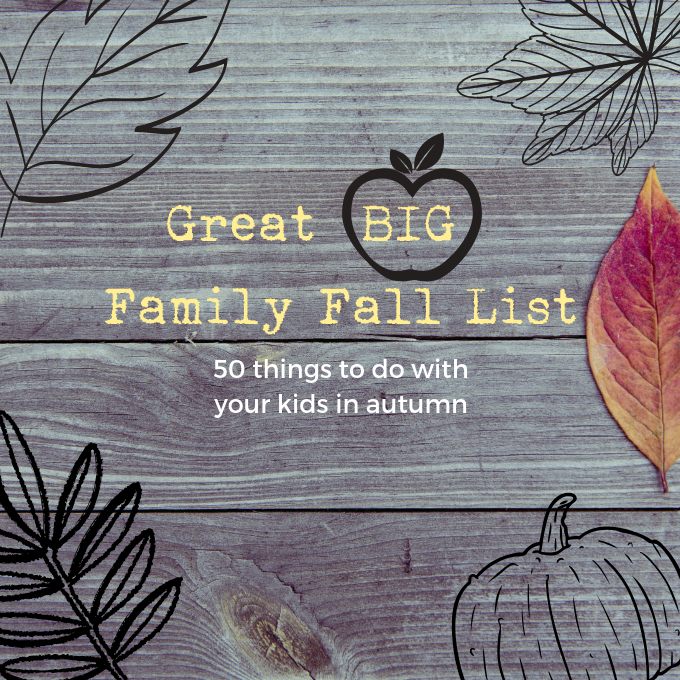 This of course prompted me to pull this big ol’ list of family fun for fall together. 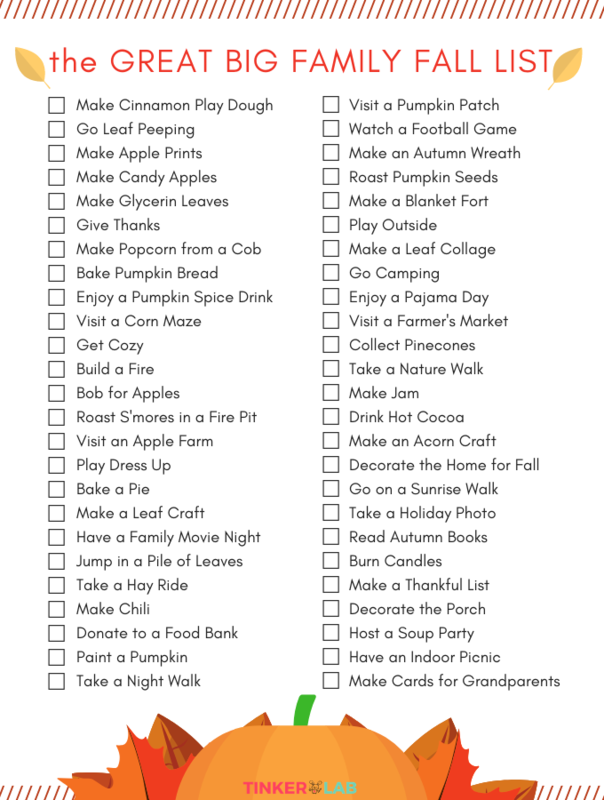 We made a similar family fall bucket list a few years ago. 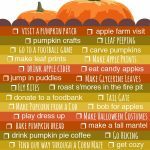 Furthermore, after trying so many fall activities with my kids over the years it seemed like a good time to update the original with more of our seasonal favorites. 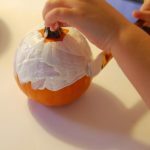 Paint a Pumpkin: If you’d like to do something with a pumpkin besides carve it, try painting a pumpkin in any color. 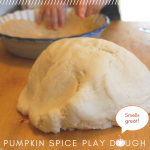 Be sure to use the paint recommended in this recipe! Pop Corn from a Cob: While we all know how to pop corn in a bag, have you ever tried popping a cob? It can be done! How to Make Popcorn from a Cob. So easy! 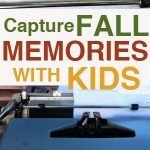 Set up a Leaf Collage Project for your Preschooler: I have two really easy projects for you that you can do right away. 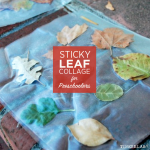 Try the Tree Trunk Leaf Collage or Contact Paper Autumn Collage. Roast Pumpkin Seeds: Because you’re cooking pumpkin anyway, you really can’t go wrong with roasting up the seeds. 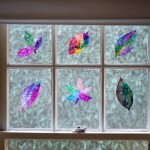 Make Glycerin Leaves: It can be hard to keep treasured leaves around for too long due to them turning brittle in days. 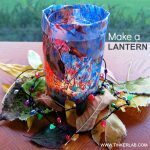 Try this recipe to preserve your leaves in glycerin. Create a Thankful List: Here’s a fun example of how my little one dictated her gratitude to me while I typed it up on the typewriter! 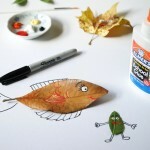 Construct an Autumn Wreath: Leaves and permanent markers help this pretty wreath come together.